Should I Do A Scheduled Group Trek Or A Private Trek? We run our own scheduled group trek departure dates throughout the ‘high’ season, and also “tailor-made” private treks where you can choose your specific dates. We offer two scheduled group departure options, including a Shira Route 8 days/7 night trek + 1 night accommodation in Arusha before the trek, or a Machame Route 6 days/5 nights trek + 1 night accommodation in Arusha before the trek. We also offer private treks on any route combination, from 5 to 8 days, or 10 days. 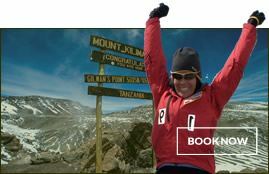 We offer 9 day Kili treks only through our US-based general sales agent. We are happy to refer you to any one of our worldwide partners based where you are, or if you want a 9-day trek we are happy to refer you directly to our general sales agent. Also, a number of our partners offer their own Kilimanjaro group treks that, so there are lots of options for you to join groups or book a private trek. It makes a significant impact on summit success rates to take extra days. What Route Should I Take On Kilimanjaro? 1. Lemosho Glades – starting from a remote trailhead and ascending through forest, and heather over two days to reach the western edge of the great Shira plateau. This route continues up either the Northern Circuit, Western Breach or the Machame/Southern Circuit route. Done via the Southern Circuit (most common), it’s the longest distance route to choose on Kilimanjaro. It’s best done 7 or more days. 2. Shira /Morum Barrier – This route starts high (over 12,000’ / 3,500m) but on longer climbs offers the chance of easy/gentle hiking from the start of the climb, as well as avoiding other tourists, especially when choosing the remote northern circuit route. Although a start from Morum Barrier Gate offers the choice to continue on the Southern Circuit, Northern Circuit or Western Breach, it’s best done via the Northern circuit in 8 days (as per our 8-day group trek option). We prefer this route over all others, for its’ wilderness character and low foot-traffic. 3. Machame (Whiskey Route) – by far the most popular route and busiest route overall, usually done in 6 or 7 days via southern circuit and finally ascending to the summit via the east facing Mweka (Barafu Camp) route to the crater rim at Stella Point. It’s also quite pretty and rugged. Best done in 7 days. Very difficult to do in 6 days. 4. Umbwe – The shortest and most direct way to Kilimanjaro’s summit, and this is the most challenging both in terms of terrain and grade. This route is best done via the Western Breach, in 6 or 7 days, but can continue on the Machame/Southern circuit route too. 5. 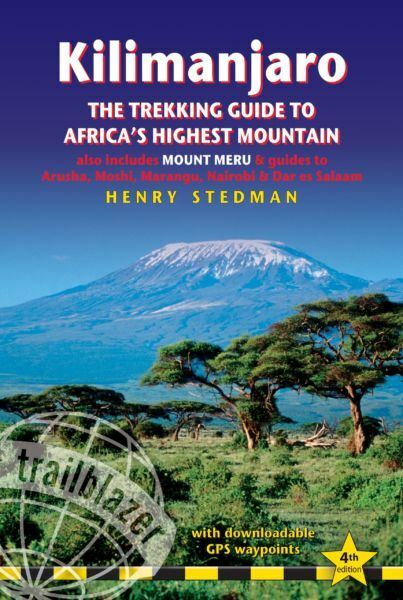 Marangu (Coca-Cola Route) – the original hut route starting at the southeast and passing through thick forest, heather and moorland before crossing the saddle between Mawenzi and Kibo, then up to Gillman’s point before skirting around the south crater rim to Uhuru Peak. Pre-booking and deposits are required on this route (to reserve the huts). From 5+ days, best done in 6 days. 6. Rongai – An approach from the dry northeast (Kenya side), up to the flanks for Mawenzi (the most easterly of Kilimanjaro’s three volcanoes) then on into the great expanse of barren saddle between Mawenzi and Kibo, and finally up to the summit via the Marangu Route. From 5+ days, but best done in 6 or 7 days. The descent route on Rongai is the Marangu Route, which makes for a longer last day than other camping routes. There is a circuit of routes traversing the Kibo massif in the alpine desert (ranging from about 3,500 to 4,000 m), and from this circuit on upwards there are only three summit route choices. The Northern Circuit is by far the least used route on Kilimanjaro, and is home to the true wilderness on Kilimanjaro. The Southern Circuit is essentially the continuation of the popular Machame Route following the east facing Mweka (Barafu Camp) route to the crater rim at Stella Point. This route to the summit receives more than 80% of all summit foot-traffic. Most of the rest of the summit-goers pass via the Marangu Route via Gillman’s point before skirting around the south crater rim to Uhuru Peak. The Western Breach is the third and last summit route, and gets a tiny percentage of the summit foot traffic, as it’s a steep scramble from camp at 4,900 m (Arrow Glacier Camp) to the crater rim at 5,900m, and is a true alpine-adventure style scrambling route, which includes rock fall risk. We’ve imposed our own restrictions on this route, in order to ensure the group is relatively homogenous and have prior experience with this type of terrain. We provide mountaineering helmets for all participants who ascend the Western Breach. Should I Attempt The Summit During The Night? The ‘normal’ way to climb Kilimanjaro is to have the last camp at about 15,000’ (4,600m) and do an overnight ascent to the summit, leaving camp at about midnight, and making for a 12-17 hour trekking day. The option is to trek up to the summit during daylight hours and camp in the crater. The overnight at crater camp does make for a challenging sleep, but trekkers can experience much more of the summit, glaciers, and central (Reusch) crater, which overnight climbs do not experience. The Crater camp is at 5,800m (19,000′), so taking enough time is essential to be able to camp here. Treks must be 9 or 10 days in order to include a night in Crater Camp. If you want to trek to the summit during the daylight hours but NOT sleep at Crater Camp, we can also arrange this by spending two nights at the high camp, making the summit attempt during the day. This involves a longer final trek to the gate, as you trek from the high camp all the way to the gate. The best times to climb for weather (avoiding rain) are January to early March, and July to mid-October. There’s a long, dry winter and a green season with two rainy periods at each end. December, January, February and March are the warmest months, with clear mornings and evenings, and clouds building during the day that occlude the summit in the early afternoon hours. The predictable patterns of weather make it a good time to climb. The main rainy season lasts from the beginning of April to early June. At this time, dense cloud formations massed over the mountain reduce visibility, and you can expect frequent snowstorms on the summit and heavy rains on the lower slopes. The longest and driest season runs from mid-June to mid-October. During this time it can be very cold at night. During Kilimanjaro’s “winter,” there is a persistent dripping belt of clouds girdling the whole mountain above the forests and the moorland contour, leaving the summit and a few other distant peaks poking through. Above the clouds it is usually clear and dry, and thus is one of the best times to plan the trek. In late October, the clouds finally give way to rain, and until the middle of December, the mountain is often shrouded in heavy clouds, with persistent showers from base to summit. The best months to ascend the mountain are January, February, July, August and September. Avoid climbing during the April-May heavy rain season, and November (the short rains) if you can. During these times, in order to stay out of the ‘crowds’, it’s best to avoid the Machame Route, and on any route; avoid starting your climb on a Saturday or Sunday (the majority of groups start on these days). Regarding climbing on a full moon, we recommend arranging the summit attempt three to five days AFTER the full moon, for optimal moon lighting the summit trail during the night. What Are The Daily Temperature Patterns On Kilimanjaro? Although it varies by season, some general rules apply for weather and temperatures on Mt. Kilimanjaro. Moshi is always hot. Sitting 950m elevation, it is one of the warmest cities on earth measured in diurnal average temperatures, averaging over 30 degrees C by day and from 15 to 18 degrees by night for most of the year. The climbing routes start generally between 1,600 to 1,800m, and always are much cooler than Moshi, partly because of altitude differences but mostly because of cloud cover, it’s often ten degrees cooler at the gates vs. in Moshi. The forest zone (from 1,600 to 2,000m) is cool, damp/wet, with daily temperatures in the low to middle 20’s, night-time temperatures in the single digits. The heather/moorland (2,000 to 3,500m) has greater daily fluctuations, and it often warmer during the day if in sun (up to 25 degrees), and colder at night (down to freezing). The alpine desert (3,500 to 4,500m) has even more daily radiational heating and cooling, with daily highs up to 20 and nighttime temps always below freezing. The summit zone (over 4,500m) is always below freezing, but radiational heating under 2m from the sun creates a ‘microclimate’ which can make it feel quite hot during the day, in the sun. Night-time temperatures range from minus 10 to minus 30 depending on the season. Are There Options For Gear And Service Specifications On The Trek? We offer four main options for the level of gear and services. The majority of our treks are run in the ‘Superior’ option, but we also a more simple and less expensive option, called ‘Lite’. The ‘Lite’ option has a lower weight allowance for each climber: no toilet or toilet tent (clients use the park’s toilets), and smaller dining chairs, plus a smaller mess tent. We also offer a “Superlite” option, with even more simple equipment choices. On the flip side, we also offer a luxury spec, with options like walk-in sleeping tents with frame beds and solar lighting systems, hot shower services, mess tent heaters, sparkling wine service, and other indulgences to make the experience more comfortable! On any trek, we provide the same quality and commitment in guiding and porter ethics, and all treks get the same safety gear and safety standards. How Many Days In Advance Should I Arrive In Tanzania Before Starting The Trek? It’s best to plan to arrive two or more days before starting the trek. This gives you valuable time to rest, recover from the journey, start the acclimitization process (Arusha is over 1,400 elevation), and have time for getting your gear in order and get a detailed briefing and gear check. We recommend taking a day trip to Arusha National Park, or a short safari before your Kili trek. The more days you are in Tanzania before Kili are going to be an asset, to get you more rest and recovery and get you acclimatized to higher altitudes. What Is The Optimal Acclimatization Plan For Climbing Kilimanjaro? Should I Plan To Take Diamox? Acute Mountain Sickness (AMS), or as now referred to as “altitude illness” is the major concern with climbing Kilimanjaro. We recommend that our climbers consider taking acetazolamide (Diamox) to help them acclimatize, especially on shorter treks (7 days or less). Diamox is well-studied and proven safe (barring an allergy to Sulfa drugs) as a prophylaxis and as a treatment for AMS. It increases respiration and thus increases the amount of oxygen to the brain and other vital organs, especially during sleep. It mimmicks what your body would be doing after a few days at altitude, and it promotes better sleep. The only drawback is its diuretic effect, and thus the need to stay well-hydrated at all times. The center for Disease Control (the CDC) have provided on their website a comprehensive overview and diagnosis, prevention and treatment of AMS, including tables assessing risks and dosage recommendations for diamox and other commonly prescribed and used altitude meds: See:http://wwwnc.cdc.gov/travel/yellowbook/2014/chapter-2-the-pre-travel-consultation/altitude-illness. Please consult with your doctor, as Diamox is available by prescription only. What Is Included In The Kili Trek Price? We include all guiding services, camping gear and meals, plus private transport to and from the mountain. Entry fees and camping fees are always included too, though priced separately. What Is NOT Included In The Kili Trek Price? What Are The Tipping Customs On Kilimanjaro? It is customary to tip your mountain porters, cook, waiter and guides. Some may choose to tip more or less, but a tip should always be at the discretion of the customer, and should take into consideration the quality and type of service rendered. Our staff will never ask for a tip. 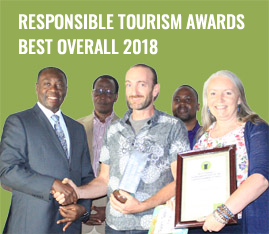 We are strong advocates for fair and transparent tipping on Kilimanjaro, and as one of the leaders shaping responsible practices on Kili, we recommend that our climbers follow the tipping recommendations listed by the Kilimanjaro Porters Assistance Project (KPAP): https://kiliporters.org/get-involved/tipping-recommendations/. We also have prepared various recommendations from what our past climbers felt was appropriate, for each option we offer, which includes recommendations for our guides, expected number of porters, and other details in addition to KPAP’s porters’ tipping customs. How Is My Gear Carried Up The Mountain? Your personal-gear is packed before the climb into large weather-resistant duffel-style bags which we provide, and carried by our team of porters from camp to camp. The weight allowance for this gear is determined by which climb option you choose, but can range from 8 to 16kg per climber. Personal porters to carry your extra gear are also available at a supplement, and you can even opt for a personal porter to carry your daypack(s) and accompany you all the way to the summit, so you can hike to the Roof of Africa without any added weight on your frame. Is A Sleeping Bag Included In The Price?, And Counted Towards The Weight Allowance? A sleeping bag is not included in the price, though we do offer rental of sleeping bags (complete with a fleece liner). Our luxury option does include a sleeping bag and pillow (on a big foam mattress which lays atop a sturdy bed frame which sits off the ground!). Your sleeping bag (whether it’s your own, or if rented from us) does count toward your weight allowance for your personal-gear bag that will be carried by our porters. Nature Discovery is the best agent to secure your Kilimanjaro climbing. Guides like Sam and Philip run the strongest team, always disciplined and caring! Equipment is of highest quality, camp management is in order, incredible eating, perfect information and briefing. A top team spirit; smile on their faces, and, if needed, serious, alert, dedicated. They know the mountain and its challenges! Imagine, two lady-climbers feeling totally safe and perfectly guided by this professional team! We fully recommend Nature Discovery! It was amazing and we will never forget this wonderful journey! Nature Discovery were a phenomenal outfit: professional, knowledgeable and excellent fun. We climbed in a huge group to set a Guinness World Record for the highest altitude football game ever played (Equal Playing Field) but the silent heros and heroines were Nature Discovery crew. Every single individual, from the guides to the porters to the cooks to the sanitary crew made our dreams come true. If you want an ethical, professional, well managed, fun loving outfit, go with Nature Discovery!